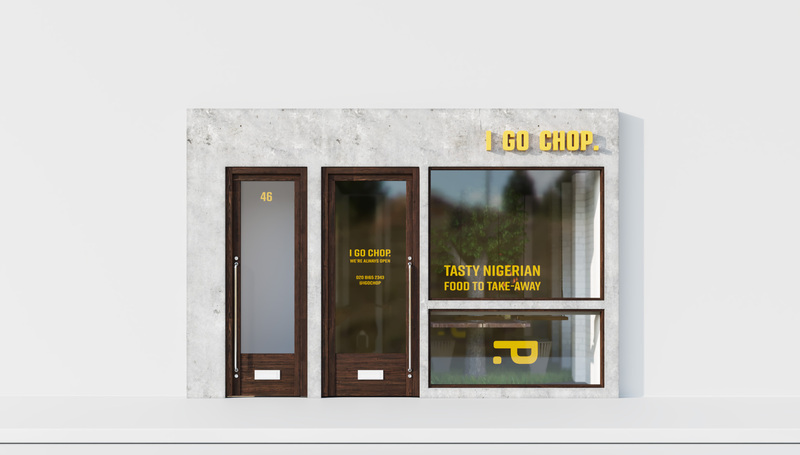 I Go Chop is a new concept Nigerian street-food eatery, on a mission to share their love of the culture through food and art. 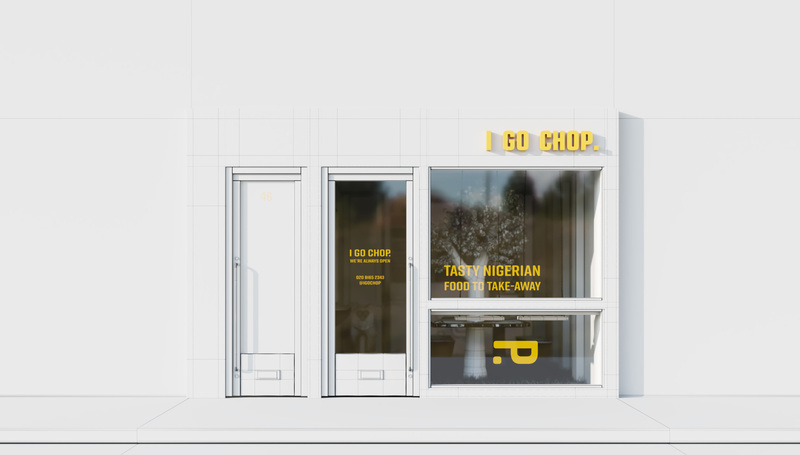 Our clients' vision was to mainstream Nigerian street food, attracting a diverse customer base outside of the typically niche market reach. We were tasked with creating a concept-led space that took much of its inspiration from Nigeria as a country and culture. Embracing this, we set out to research and refine some of the most obvious and less so elements that contribute to its customs including use of language and art. Whilst formulating ideas for the interior and exterior design we dug deeper into the Nigerian culture, towns, people and monuments. The Igbos (one of many tribes) of southeastern Nigeria usually construct their homes of three materials: Wood, Mud and Palm Leaves. The result is a modern spin on raw materials used by Nigerian tribes to build traditional housing.